Here at Charter Heating, we are boiler and gas experts. 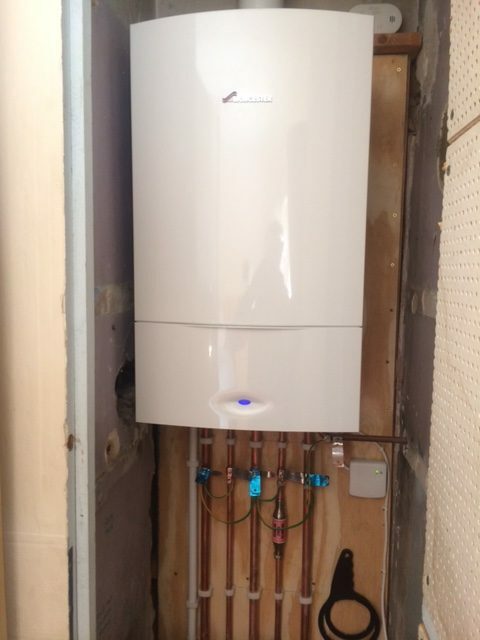 From installing new boilers, to repairing and maintaining boilers, we work with homeowners around the region to provide top quality boiler and gas solutions. As a result, we often see several unsafe behaviors, that could lead to a real fire risk. So whether it’s a gas fire, hob, or portable gas heater, follow these gas safety tips to keep yourself, and your property safe. When it comes to gas safety, maintaining the minimum distances is crucial. A minimum distance of 3 foot should always separate anything flammable from a gas appliance. This includes tea-towels, paperwork or gas bottles. Hot sparks can fire off in all directions, and a house fire can start within seconds. So think safe, and keep to the safe distances. Smoke alarms can save your life. And despite much publicity, many homeowners do not have smoke alarms installed at all. This is a real risk, as house fires can start at any moment, and without an alarm, you may not not even notice. Smoke alarms should always be fitted in rooms with a gas appliance, as these are often even more deadly. In addition to smoke alarms, Carbon Monoxide alarms are essential too. Carbon monoxide is undetectable without an alarm, but it can cause poisoning which will lead to death if untreated. As a result, you should also install carbon monoxide alarms next to all of the gas appliances in your home. Portable gas heaters should only ever be used in a well ventilated room, and you should make sure you only use the correct, specified fuel type. Portable gas heaters also need to be switched off and unplugged when they are not in use, and when you are not there to watch them. For more information, get in touch with the experts today, here at Charter Heating. What is boiler maintenance? And is it necessary?